White Whale Has Been Found! Here it is. 11:59 pm. We are one minute away from a New Year and I had to publish this one final post before the clock strikes midnight. 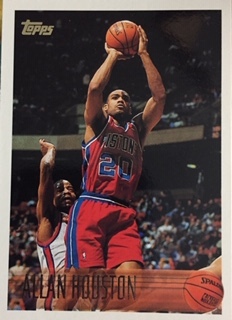 As many of you know, for years I have been trying to hunt down my Rodney Hampton white whale ,the 1997 Stadium Club Co-Signers autograph card with Anthony Johnson. You have followed the story along the way and know how far I went to try and find it. Out of all of this measures I took, nobody, especially myself expected it to just show up at my door. Yes, it just showed up. So in my search along the way, I asked for some assistance from Wes over at Area 40 blog who has been the Magic Genie and Bounty Hunter of finding cards. He kept telling me all along that it will show up at some point online. It had to. I on the other hand had started to lose faith despite Wes showing me his magic. It was an average day when I went over to get my mail not expecting anything to arrive. Inside of my mail box a package sat there with Wes' return address on it. I thought well, he did set some other cards aside for me so maybe that is them. 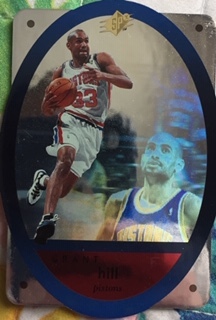 I opened it up and found this white PWE inside. It felt thick which would lead me to believe it was one of the cards he had mentioned mailing to me. 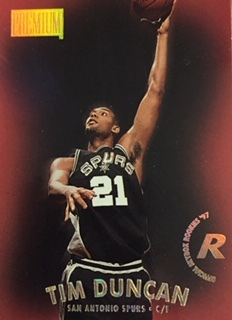 I opened up that PWE and literally almost dropped its contents to the floor and came close to going down to the floor myself. Inside of that white but golden envelope was the card I had been searching for so long in a one-touch. 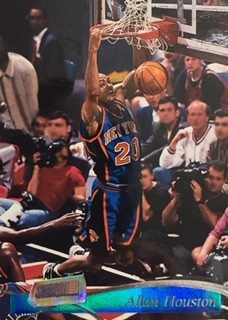 I was so stunned it was hard for me to even begin to thank Wes for this. I couldn't even type as my hands shook. It almost brought me to tears as well as it was an amazing moment. It's amazing what a piece of cardboard can do for you. When I finally got the hands to stop shaking I finally messaged him thanks and had to ask how he did it. 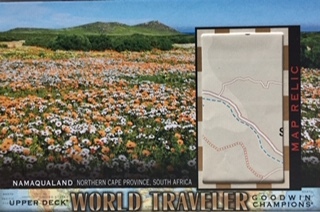 He used Google and typed the card in differently than any way I would have thought of and actually found a copy and took a shot at it. Well, it was the greatest gamble taken. Can't believe I was holding it still. I feel like I owe Wes my life for this one. It was the final autograph I needed of Rodney. I had them all. 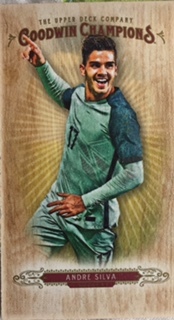 Well, until Panini released 2018 Panini Illusions football where five more appeared. However, once again I find myself with one more from that product to find. Will that one become the new white whale? Most likely. 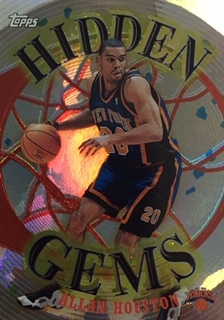 And I think the odds of finding a 1/1 will be much tougher than the search I just had. Wes, you are a great friend. I owe you so much and am so glad to have you as my friend for many reasons. Thanks for all that you do. To everyone else, Happy New Year! Whoa! A catchphrase used by Joey Lawrence on the show Blossom back in the 90's was also a phrase I used with my mail day from @PackGeek. 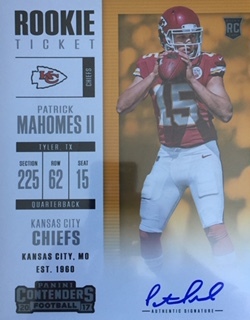 If you don't know who he is, he hosts a fun entertaining hobby webshow you can find on youtube.com/user/PackGeek and is also a huge KC Chiefs fan who has a pretty impressive Patrick Mahomes collection. If you have heard that name before, I assume you have, you know he is in the running for MVP this NFL Season and is leading the Chiefs to a possible long playoff run. 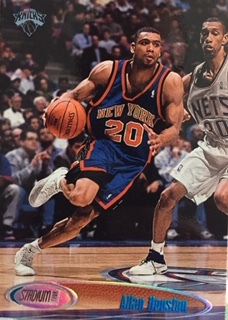 He is also a name I have mentioned on here many, many times and all across my Twitter account as well about needing an autograph card of his. Well, a couple of weeks ago Jeff from @PackGeek on Twitter contacted me asking me for my address. I wasn't sure why but just went with the flow. Upon further discussion with him, he knew I hadn't had the best year and wanted to send me a "little" something. I put little in quotes because it was far from that. Who does this?! 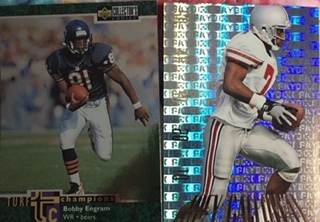 Apparently @PackGeek does and he did it to a few other collectors by giveaway form as well. I was completely floored. If getting the my most sought after autograph in 2018 as a surprise gift didn't help cheer me up after a rough year, not sure what would. He definitely hit some soft spots as it made me feel all warm inside and smiling on the outside. A ginormous thanks to Jeff over at Pack Geek for his extreme generosity in this cheer up gift. You are a great friend. IF you haven't checked out his webshow or followed him yet on Twitter, go over and do so please. Don't miss out on anymore solid content. 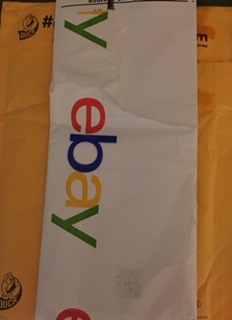 It was the day before Christmas and all through the USPS system, not a package was a expected, not even a bill. Well, that would be a lie. Bills always come but not packages. I walked over to my mail box hoping that Saint Nick had hit there, out came two unexpected packages, that I was shocked was in there. Alright I will cut out the Christmas stuff now. We are almost a week out and it's time for me to get into spring thoughts despite having three more dreadful months of winter. The first package I got on Christmas Eve I will show off now, the second, well, hope you are sitting down for that one coming up in my next post. This one was a surprise mailing from my buddy on Twitter, @CrattyPatty25 who I have pulled off multiple trades with. 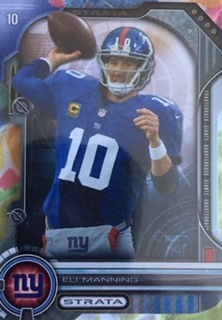 First he sent some Gmen base cards my way including a Lauletta rookie. Not sure if that guy will ever have a chance in blue. I think Giants will draft their future next year. 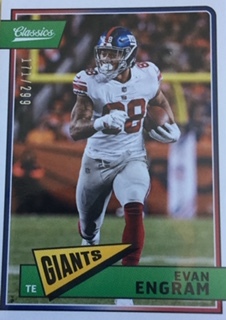 Evan Engram numbered card. Glad this guy finally stepped it up towards the end of the year. Eli played well after the bye week to. He did cost them a couple of games still late and that just leads me to believe he doesn't have more than maybe another year left in him. But, we will see. 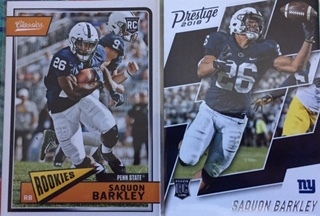 Then there was Saquon. Not much else I can say about this talented back. 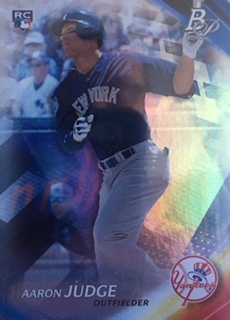 Cratty also passed along some Aaron Judge rookie cards as well. A big thanks goes out to @CrattyPatty25 for the awesome mail day additions. I will have to hit you back when I get the chance. 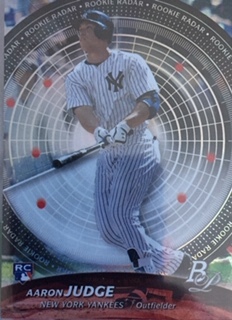 Sometime on here I will also have to update a want list for Judge and Saquon along with updated PC numbers on both. Non Sport PC Gets A Boost! In the finale of what I am showing off of my mail day from Shane over at Project Pedro blog, he sent over non sport goodness. He doesn't like or collect it so when he pulls it or finds it, I get it and I will continue to take it 'til the cows come home as some say. 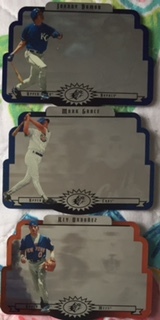 These are pretty awesome Topps rookie cards of Jenny McCarthy, Jay-Z, Christine Brinkley and Carmen Electra. 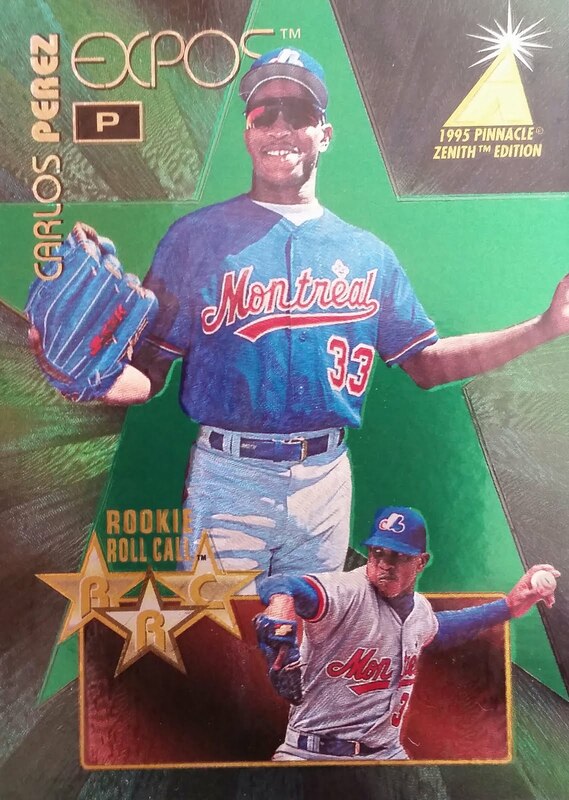 Here is also a parallel /250 of Carmen. 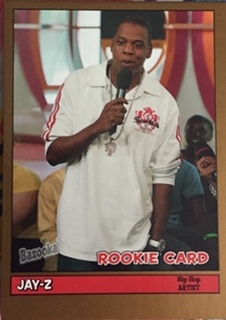 Here is a Jay Z Bazooka gold rookie card. 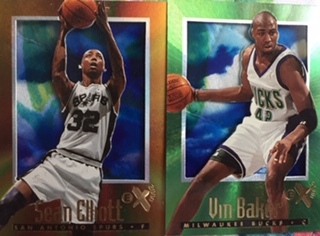 I believe these were in basketball products. Shannon Elizabeth. Stunning card and lady. This isn't technically non sport, but comes from a mix product so I took it. 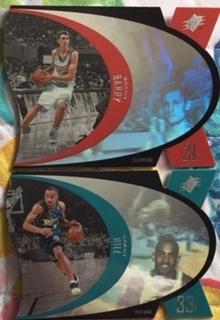 Love these lenticular cards. 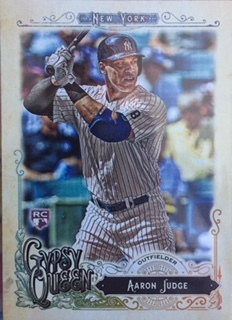 Only problem, Upper Deck counts them as a third hit and out of Goodwin that's the usual third hit you find. 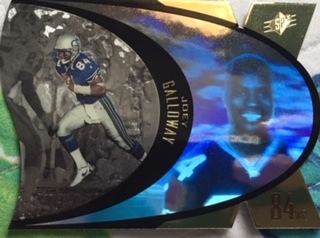 Another not non sport relic but comes from Goodwin so I took it. 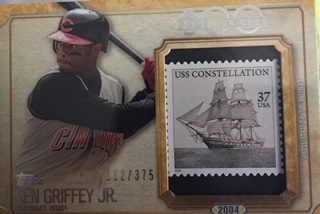 And odd hit for sure, but I always wanted one of these map relics. Of course if I had opened a box to find one and that was the big hit, well, I wouldn't have been too happy. 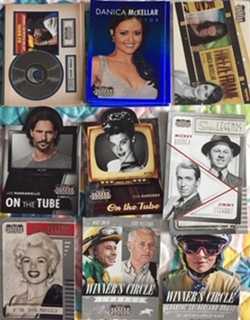 Some great celebrity adds to the PC. 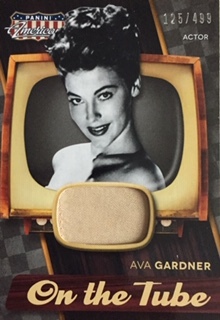 Ava Gardner swatch She was a singer and actor. 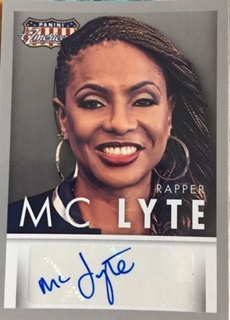 Mc Lyte has a nice autograph, just never heard any of her songs. 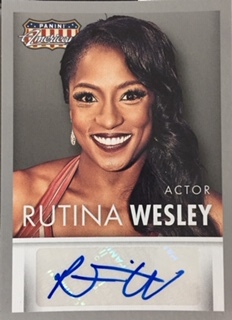 Rutina Wesley was best known for her role in True Blood as Tara Thorton. Not a series I ever watched but I will add any non sport autograph. 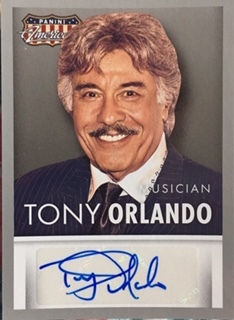 And finally Tony Orlando. Singer, actor and so much more. Another great looking autograph. This celebs should teach the athletes how to sign. A big thanks goes out to Shane on another successful trade. I already have stuff sitting aside for you for the next one which I hope will be sooner rather than later. 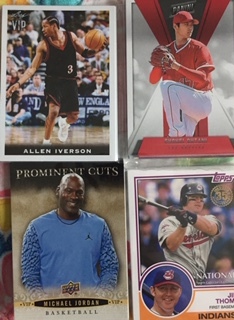 The main course of a trade between Shane over at Project Pedro blog and myself usually has some meatworthy Ken Griffey Jr cards and sometimes items. Even though most of the time I avoid adding items since I don't have the space in the mancave anymore since I moved it's location. 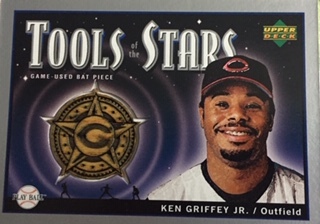 In the meantime, this trade added well over 120 NEW Ken Griffey Jr cards to my collection. Yes, 120. I won't be showcasing all of the good ones off, there were many, but I did choose some to show off. 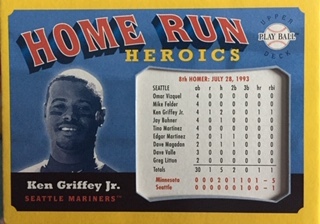 Why not more you may ask, well, that's because my main project in 2019 will be my Griffey PC. 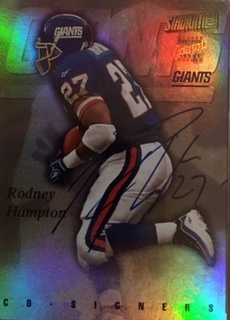 I have been slacking on it for years and it's time I finally give it some love like I did my Rodney Hampton PC. That may take me awhile but it will feel so worth it to me. Starting lineup that Shane had lying around. I said, why not. 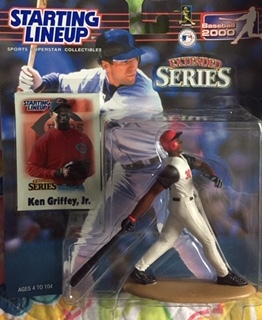 Years ago I traded away all of my Griffey figures to make room. I kind of regret it. 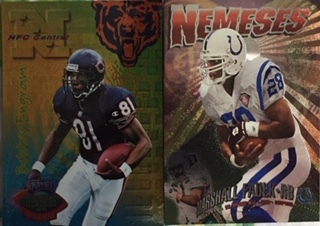 I still also need to chase down the Rodney Hampton ones so if any of you see them anywhere, please snag both for me! 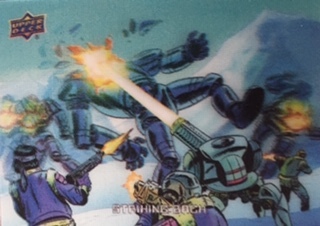 Such a cool card I hadn't seen up close. Now I own it. Bat swatch. 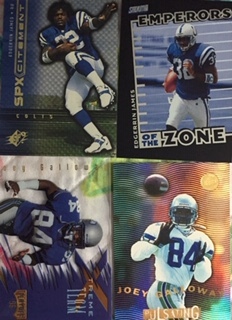 I wasn't ever a fan of Upper Deck "branding" the swatches though. Kind of ruins it I think. And finally, an awesome stamp card. I would sometimes rather see one of these cool things than a white relic swatch. There is still one more part to this mail day I am showing off and that one will be some nice additions to my non sport PC. If you haven't ever checked out Shane's Project Pedro blog especially on Wednesdays, you are missing out. Every Wednesday he breaks a cheap box under $50 and shows ever piece he gets from the box in his Cheap Wax Wednesday series. I keep an eye on every one of those pieces he shows off to see what I may acquire in a trade. If I only made a list after all of these years as there has been so much great stuff. So in our latest trade I did acquire some of those pulls. Brett Favre. 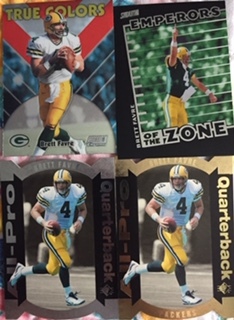 Believe it or not, but my Brett Favre collection which resides over 300 different cards is one of the bigger non collecting PC's I have. There is Griffey, Hampton, Eli Manning, than Brett Favre. Pretty crazy. So when I can add the man with the bullet of an arm, I do. One of the greatest looking sets all-time. I have a long ways to go. 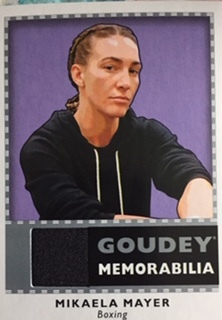 Now I just need to get on here and mark off my new set adds. That's another project in 2019. This was kind of an off year for me and @ShaneSalmonson over at Project Pedro Blog. We always pull off multiple big trades a year but this year for some reason or another, dragged out a year long trade. Yes, year long. But, we finally got the deal done and mailed our pieces out. My end just arrived roughly a week ago and it was packed nicely and packed full. Shane even threw in some supplies. Awesome! 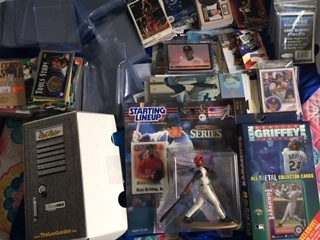 I won't be breaking down the entire box as I am working on multiple sorting projects going into 2019 and I will touch base on those soon. But, I will showcase some key cards from this massive mail day and show others as I go along with my sorting projects. First up, Shane was lucky and went to this years National which is still a dream of mine to do. 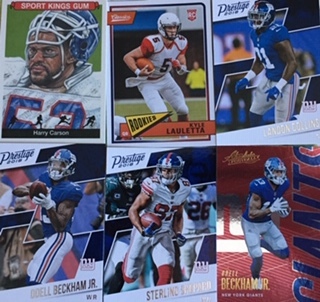 The Panini pack contains my boy Saquon! Not sure if I will open it to take him out or not. 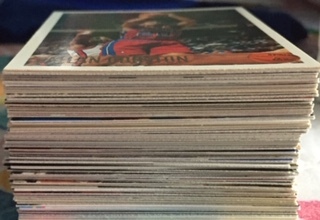 For years Shane has been trying to unload all of his basketball cards and I have taken a few with each mail day. 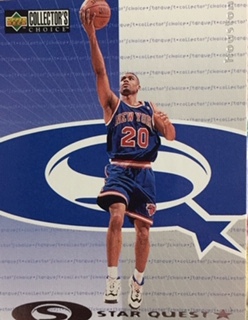 This time I grabbed his stack of Allan Houston cards who was one of my favorite Knicks in the 90's. 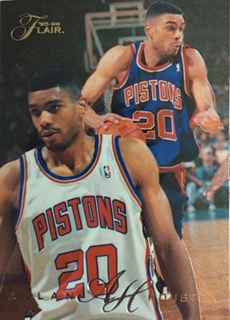 The other two, Patrick Ewing and John Starks. 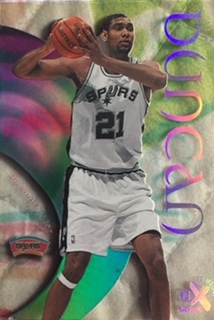 And one more card I wanted was this rookie of Tim Duncan. Loved this set. Well, this is just the beginning of a few pieces from this mail day I will be showing off. More soon! 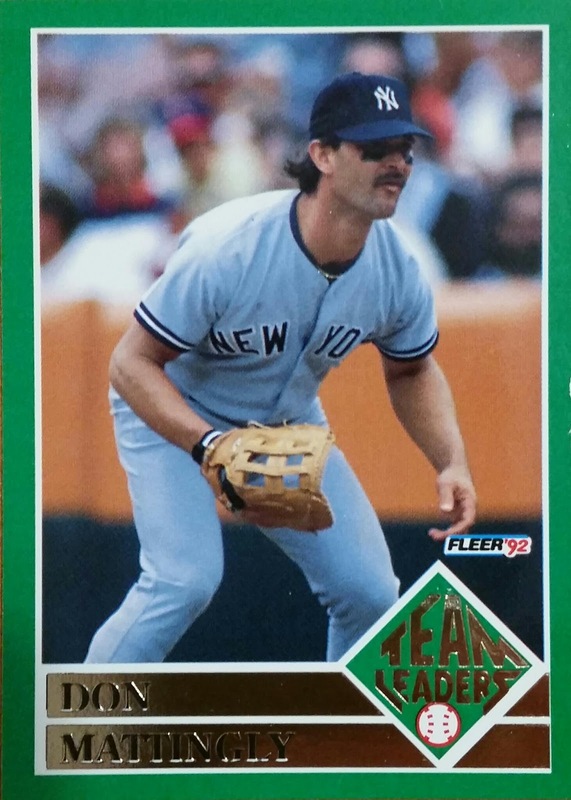 A PWE Full Of Yanks! Becketts, Big And Rich And Cards! 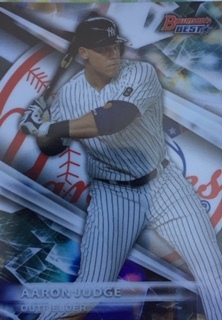 My Best Hit Ever In A Box Break!